Had an enjoyable day on Ice Funnel yesterday. Although we left the vehicle in -24 temps we were greeted with -10 at the base of the climb. Driving: The road in is in reasonable shape by Waiparous standards. A capable 4x4 is certainly required but regular caution combined with ground clearance did the trick. Approach: I haven’t been into the Waiparous since the implementation of some off road trail closures. We parked at marker 129 and it took us approximately 40 minutes to hike to the old parking location. Total approach time was about 1.25 hrs (brisk pace, see temperature comment). Climb: Dry, brittle ice throughout. Good hooks in place from party(s) from previous days. 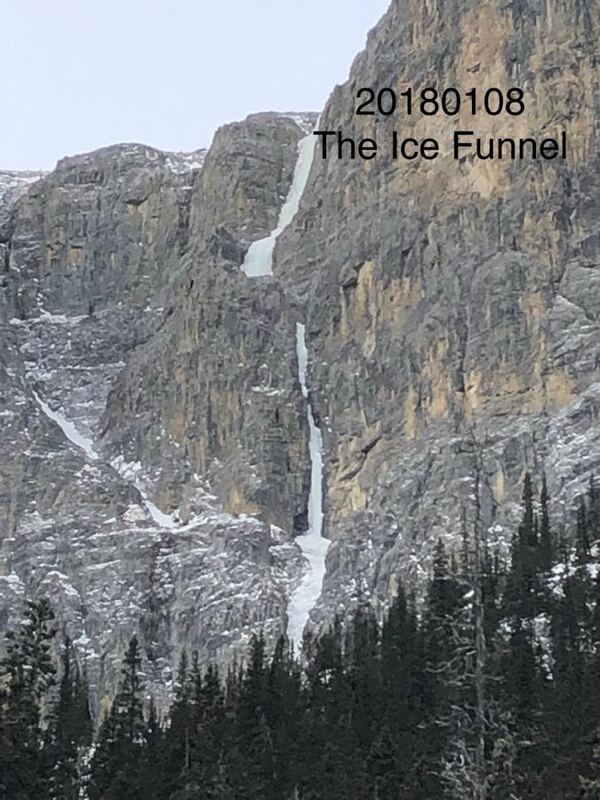 As the name may suggest, climber generated ice fall is funnelled down the climb, we took care to find sheltered belays and avoided using some fixed stations (pins or self drive bolts) in an effort to keep the belayer out of harms way. 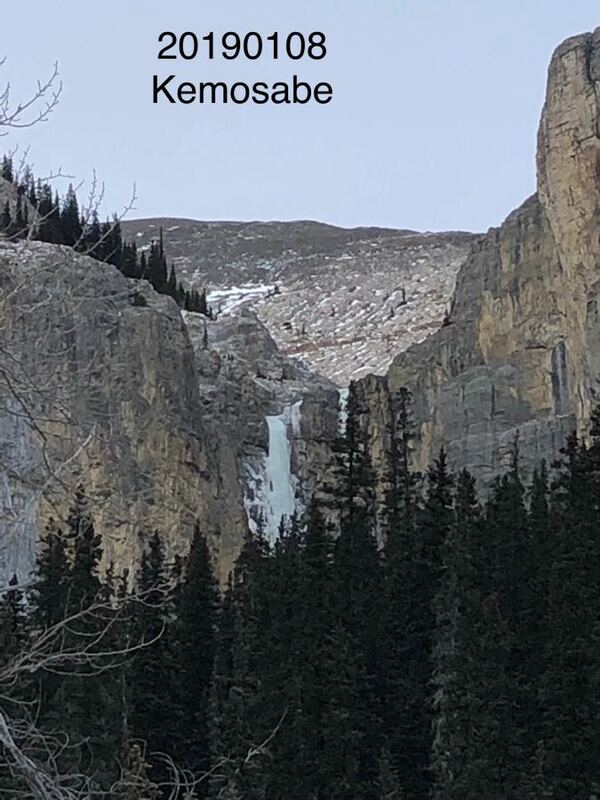 Kemosabe looked good as we hiked past, seemed safe to assume the first pitch is in.